Patriot crews are out in force taking advantage of the great weather. 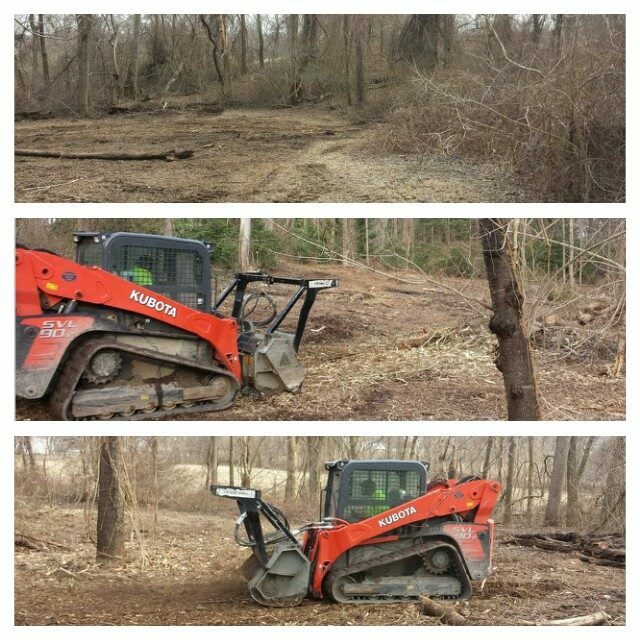 On one side of Maryland crews are planting a property border of screen trees while crews on the other side of Maryland knock out a stream side planting for a restoration project! Have work you need completed by a reliable and results oriented contractor? Give us a call today! Here is a unique take on tree protection. 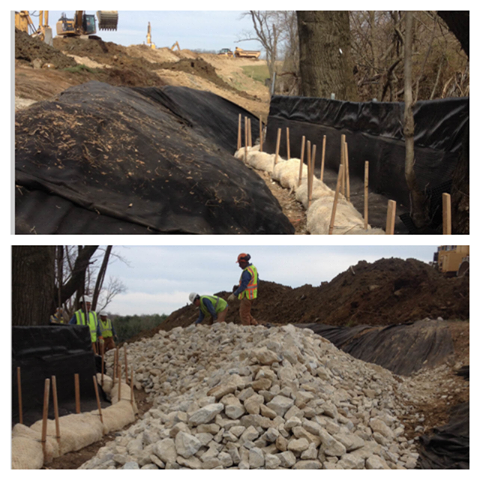 Patriot crews hand installed a trenchless silt fence and biologs for sediment control without damaging root systems, and then constructed by hand a rock barrier to protect a specimen Oak tree near a construction site. 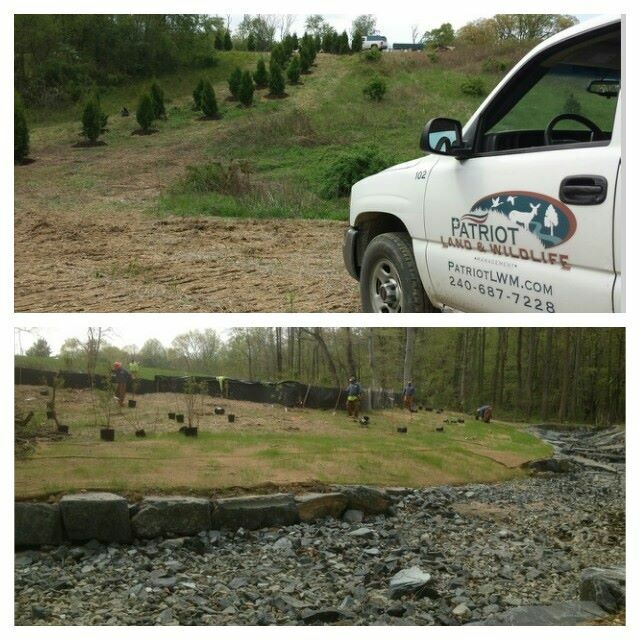 Low impact, ecologically responsible sediment & erosion control from the professionals at Patriot. Check out our Environmental & Site Services division on our site to see how we can help you with your next job! 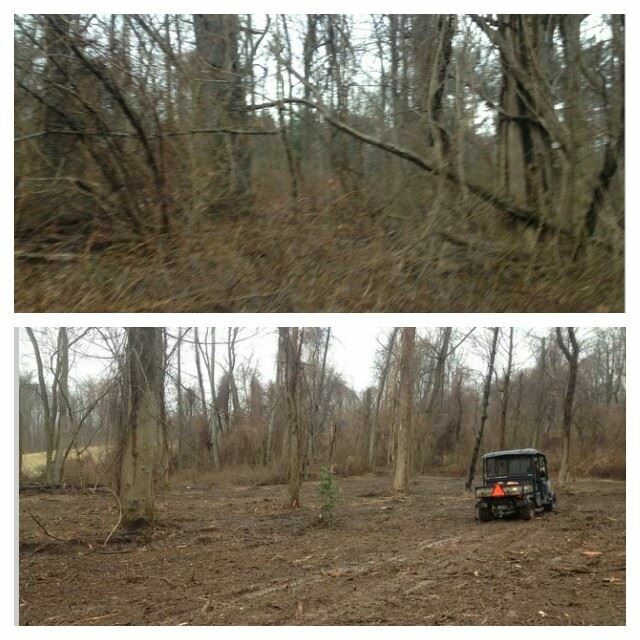 Before & after of Patriots low impact forestry mulching services. No large and unsightly debris piles or bare soil with our ecologically responsible methods that easily navigate around desirable species and incorporate mulched material onsite. This client was looking to reclaim his forest floor from invasive species in order to facilitate native species regeneration without wasting their vacation time. In just a few short hours the Patriot crew worked to get the area cleaned up and ready to rock.